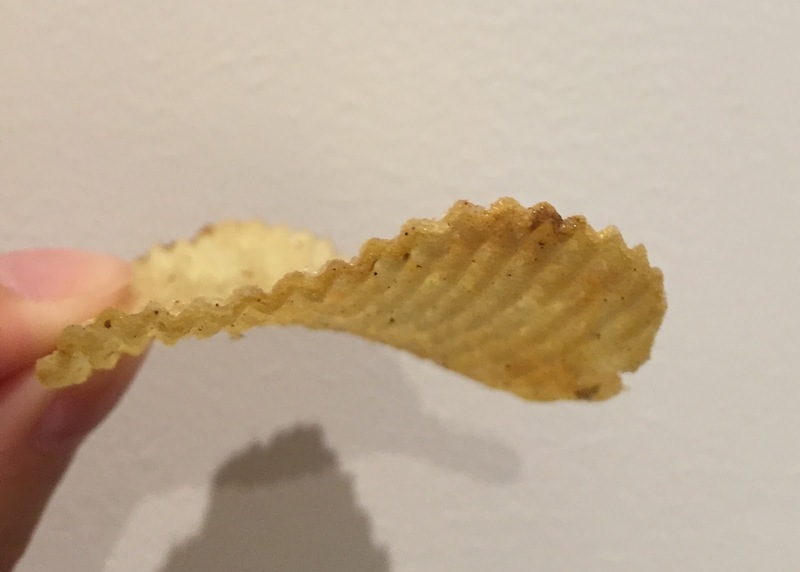 Calbee launched conbini-only potato chips called "Poterich Zeitaku Shrimp Gratin Flavor" on December 14, 2015, but I actually found this at a drug store in Shinjuku. 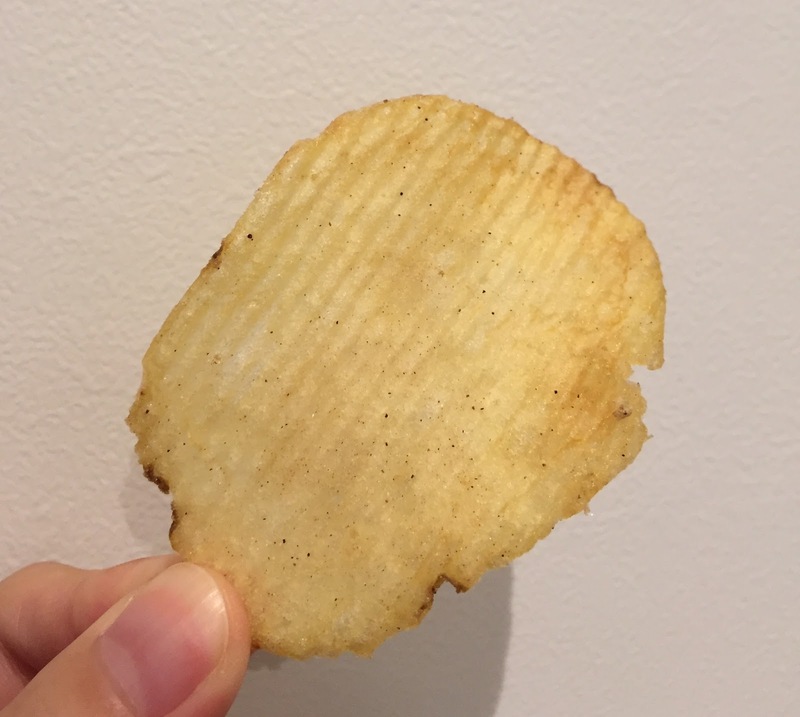 Poterich is a series of potato chips of Calbee and it has richer and deeper flavor and thicker cuts than regular chips. Zeitaku means sumptuous, luxury and rich. On the package, it says "Ise-ebi powder is used. Sumptuous flavor." Ise-ebi is a type of lobster. Rich and deep flavored thick sliced potato chips. 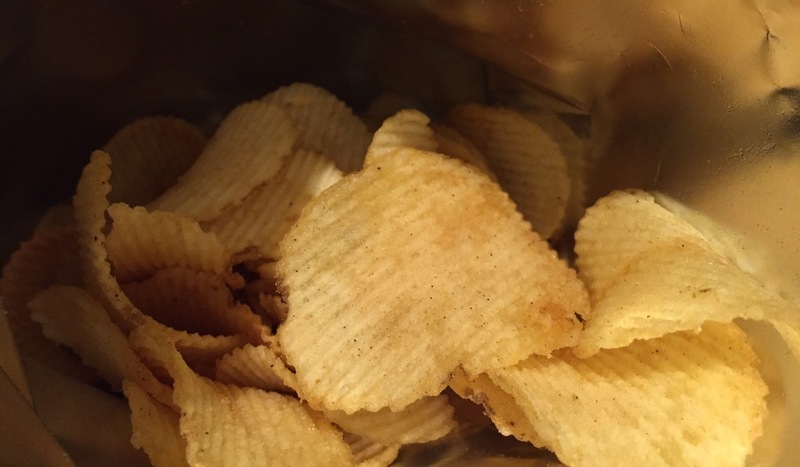 You can enjoy a bit richer potato chips with this Poterich series. You can enjoy fragrant shrimp flavor and richness of cheese and creamy sauce. We used Ise-ebi powder to make it sumptuous. This party size is large and good to share with everyone. When I opened the bag, it had white sauce (béchamel sauce) and cheese flavor with fragrant shellfish scent. The chips were thick and wavy cut and they're crispy and crunchy. I could taste shrimp, gratin sauce and cheese much stronger than I had expected and it's so tasty that I instantly finished the whole bag.